Ahead of the short film's February 19 debut, check out this interesting video of Kobe Bryant and Robert Rodriguez discussing the production of Nike Basketball and Screenvision's "The Black Mamba." 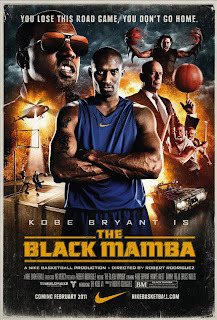 The video is a pitch session between Kobe and director Robert Rodriguez, along with some really cool clips from the film. The film carries a PG-13 rating and has a running time of six minutes and will be screened in 14 L.A. area theaters for the next six days. 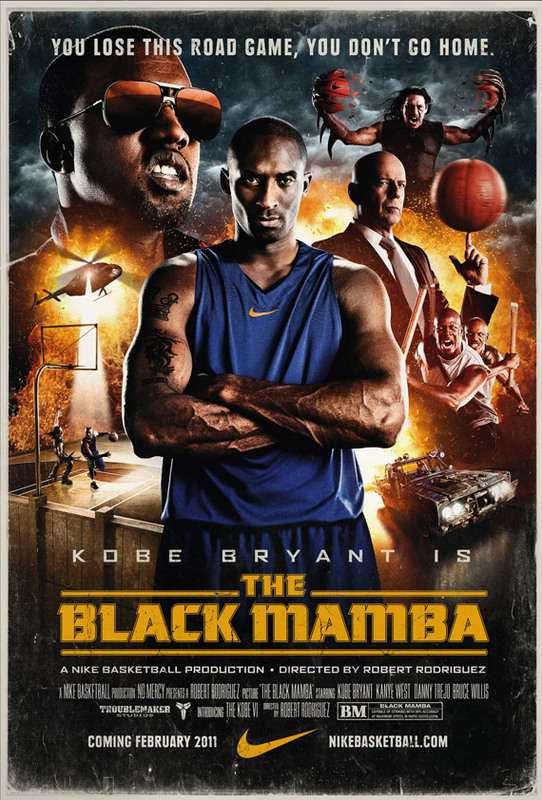 In addition to Kobe, who plays the character, the film features Bruce Willis, Danny Trejo and Kanye West as "The Boss." "The Black Mamba" joins Kobe's 1996 appearance as Terry Hightower in the show Moesha on his list of TV/movie “acting” credits.